These sets just make me want Collectors Rare even more every year. Hello Pojo Readers, Crunch$G here to tell you things about a new set that you might want to know about. Remember Battles of Legend: Light’s Revenge last year? 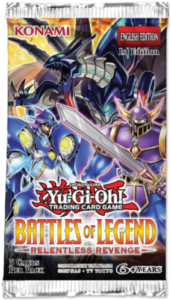 Well this year we got a new Battles of Legend to try and live up to the legacy of the first. Did it? Well that depends. The new cards are much better than last year’s new cards, but the reprints in last years might of been better. Oh well, let’s talk about the set. 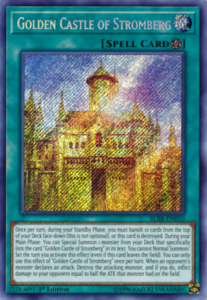 Yes, we do get the Fairy Tale cards from the original series finally, along with Golden Castle of Stromberg. 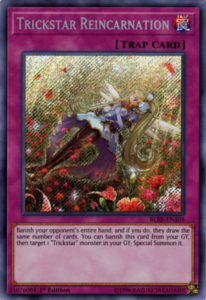 The whole Fairy Tale archetype in general is focused on having the Golden Castle on the field to get various effects, including basically a one-card Isolde with the Field Spell itself. Every cards in the archetype goes with each other. Prinzessin works with the Pumpkin Carriage and Glass Slippers in the archetype. Iron Hans and Iron Knight are your pieces for the one-card Isolde. The Golden Castle has it’s own searcher in the archetype in Glife the Phantom Bird, and it has a solid boss monster in Hexe Trude along with a card that can help steal your opponent’s card in Iron Cage. The archetype does seem like fun and the one-card Isolde engine might see future play as long as the deck can get rid of the castle. This year, we finally get the remainder of the 10 main Timelords that were in the anime. Stunningly, Michion has the original effect where if it does battle, it cuts the opponent’s life points in half, never thought I’d see the day where that’d get printed without getting nerfed in some way. Halion will make both player’s life points equal when it battles if your’s are lower. Raphion basically burns the opponent for a monster’s ATK when it battles. Gabrion clears your opponent’s board into the deck when it battles, but in return they draw cards equal to the cards they lost, so at least Gabrion got a nerf. Finally Sandaion deals 2000 damage after it battles, plus this is on top of a 4000 ATK and DEF body, so it can kill something, but nobody takes any battle damage from Sandaion. 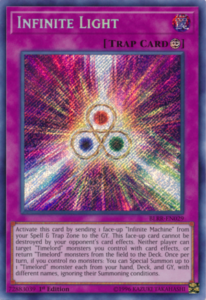 Finally, we got the three trap cards meant to help the Timelords: Empty Machine, Infinite Machine, and Infinite Light. The Timelord archetype is now complete, now if only Sephylon actually went well with the other Timelords. More Numbers, just so we can get to all 100 I guess. First off is Number 27 to give the Rank 4 pool access to the Rank 10+ Machine pool, cause that was what Rank 4s needed, but at least it isn’t like the last time the Rank 4 pool got access to another Rank’s XYZ monsters. If you are feeling lucky, Number 67 has a dice effect that can lock down monster attacks and effects of whichever player rolls higher, as well as treat a dice roll once per turn as a 7-roll, cause we all know you won’t be rolling a 7 with your dice. 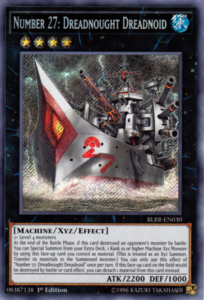 Number 75 is an interesting Rank 3 that can turn any monster effect into both players drawing a card, not only that, but it and it’s XYZ materials can also become material to another Number XYZ Monster. Finally, Number 90 gives the Rank 8 pool the ability to negate Monster Effect, but the thing is Number 90 is best in the Galaxy/Photon archetype as if the material detatched was a Galaxy, you can destroy the monster. 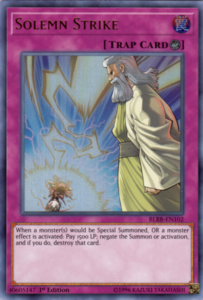 Not only that, but Number 90 can also let you search a Photon/Galaxy card during the opponent’s turn or add it to Number 90 as material, as well as having some protection from destruction effects while it has a Photon as material. 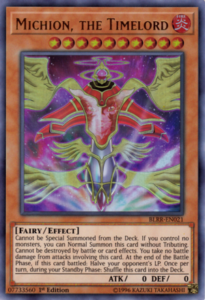 It really helps with the future Photon/Galaxy support in Legendary Duelists 3 and Soul Fusion. Oh, and there is also a Number reviving Spell in Glorious Numbers if you are wondering where the header for this part came from. A final archetype in this set, if you can call it that, is the “Star” archetype. A group of EARTH and LIGHT Level 5 Warriors along with two Fusions that need Level 5 Warriors. The three main deck Warrior Stars: Hayate, Tenma, and Kaiki and each of them help get each other on the field or help get the Fusion’s on the field in Kaiki’s case. The Fusions are pretty solid as well as Idaten can make a monster it battles have 0 ATK when its level is lower than Idaten’s (originally 10). Shura can turn every monster on the field into a 0 ATK monster and then when they battle, they gain ATK based on their level so the higher level monster wins, also note Shura is Level 12, so it should be the strongest unless your opponent somehow got to Level 13+. 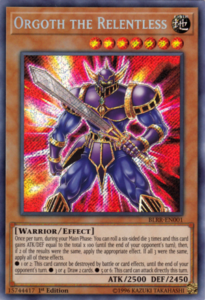 This can overall be a cool Warrior engine in a future Warrior deck, so take note of these cards. Dungeon Dice Monsters fans finally get the legendary Orgoth the Relentless in this set. I’ll be honest, I’m not too familiar with Dungeon Dice Monsters, so excuse me if there might be something I miss about good ol Orgoth, but he has a fun dice roll effect to work with Number 67 in this set I guess. Flying Elephant is a new win condition that might be hard to pull off since it relies on the opponent. 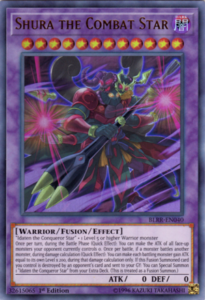 Litmus Doom Swordsman will be a fun new Ritual for some Continuous Trap based decks. Living Fossil is a great neutered version of Premature Burial to extend your combos. 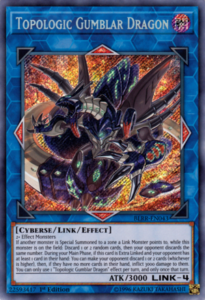 Cyber Emergency is a great searcher for the Cyber Dragon archetype to get your ready for Legendary Duelists 3 and Cybernetic Horizon, the trap for Cyber Dragons basically turns any Level 6+ LIGHT Machine into Cyber Eltanin that is unaffected by card effects. Slash Draw is a fun new draw card for GY based decks, as well as it potentially being a one hit kill if you draw another Slash Draw. Iron Draw is a solid draw card for Machine decks. Topologic Gumblar Dragon might be one of the chase cards in the set that is new since it helps clear your opponent’s hand at the cost of some of your cards or being Extra Linked, and Borrelguard Dragon will be a solid substitute until Borrelsword Dragon comes in Cybernetic Horizon. Well, this was the selling point last year, and it is still a solid selling point this year. Some great staples like Monster Reborn, Torrential Tribute, Bottomless Trap Hole, Solemn Judgment, and Solemn Strike all make an appearance in this set. 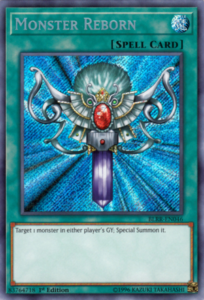 Tornado Dragon also gets its first reprint for the Rank 4 players along with Number 41, cause it would of made too much sense to print this in Light’s Revenge instead of in Circuit Break and in here. T.G. Wonder Magician and Cyrstron Quandax are reprinted in here to tease us of Crystron Needlefiber, which I might do an article on when it is announced for the TCG, I imagine in Cybernetic Horizon. Darkwurm, Eater of Millions, Uni-Zombie, Performage Trick Clown, and Damage Juggler get the holo prints they deserved for a long time. Union Hangar and Gamicel get more widespread holo reprints. Darklord Ixchel and Nasten are in here to become more budget. Phantom Knights Ancient Cloak, Phantom Boots, and Fog Blade are here to get up hyped for the Legendary Hero Decks. Merlin, Noble Night Medraut, and Noble Knight Brothers are here to make them more budget friendly. Pyrorex and Windrose join Grandsoil and Moulinglacia with reprints. PSY-Frame Driver becomes holo if you like your Garnets to be shiny. 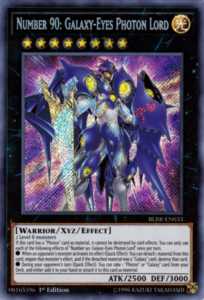 Altergeist Hexstia, Altergeist Manifestation, and Rainbow Dark Dragon get erratas to be up to date with the OCG. Finally Brilliant Fusion, Dragonic Diagram, Unending Nightmare, and Trickstar Reincarnation are here to probably be the high-end reprints in this set. Yeah, there were a ton of good reprints in here and I might of missed some. There was a ton this set has to offer as you noticed. It seems like a solid set overall. The new cards are better this year, which makes up for the reprints being worse I feel. This might be a set worth picking up like last year if there is a lot you want, or you can buy singles as they are much cheaper now since a lot of this is reprints. The new cards hold a good amount of value though since some are short printed, but I imagine one day they will get their reprints as well. So yeah, I wasn’t expecting this to top last years, but that doesn’t make this set bad.